Today’s Final Jeopardy answer (in the category World Geography) and game statistics for the Thursday, March 22, 2018 game between Lynn Klyde-Allaman, Natasha Go, and 1-day champion Rebecca Zoshak. 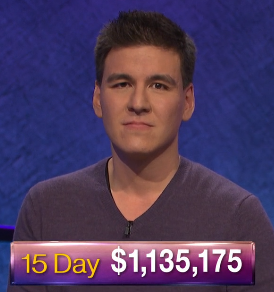 Rahul Gupta of Midlothian, Virginia won on Friday and returns this week as Jeopardy! champion! See who joins him here!